WASHINGTON, D.C. -- The Washington Wizards were lying in wait since Tuesday for the Thunder to arrive in the nation’s capital, while in the wee morning hours on Friday, Head Coach Billy Donovan’s squad was just arriving in town, fresh off a thrilling 4-point victory over the Charlotte Hornets just hours before. Conventional wisdom would suppose that the Thunder would be struggling to match the Wizards’ energy all night long, clawing to stay in it to have a chance in the fourth. 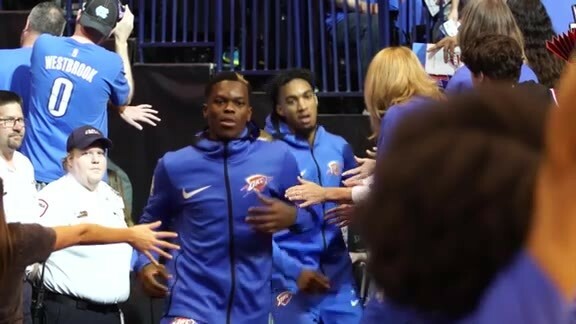 This idea got flipped completely on its head as the Thunder looked like the rested squad, generating reserves of energy as each wave of players entered and re-entered the quarter. The result was an emphatic 134-111 victory, bringing the team to 4-4 on the year. “We did a good job of just coming out, giving everything we had, giving them our first punch and staying with it,” noted Paul George. After a sharpshooting first quarter by both teams that produced over 50 combined points in the first 6 minutes, the Thunder was the team to land the first crucial defensive punch and ratchet up the stakes on each possession. As the first quarter waned on, the Thunder’s defense started to settle in and close out to shots that were previously open and get hands on passes that were whizzing by in the opening minutes. Once the Thunder caught up to the Wizards’ own speed, Donovan’s group was able to return serve with even higher velocity. For the night, the Thunder forced 19 turnovers that led to 26 points. After surging ahead with a 9-0 burst to end the first quarter up by 5, the Thunder extended the run in the second period to 18-2 to completely take control of the game. Once again, one of the league’s very best at steals and turnovers forced was in action again tonight - getting fingertips on balls and clogging passing lanes to send he action flying up the other end for easy run outs. Even off Washington’s dead ball turnovers, the Thunder relentlessly got downhill and put pressure on the basket – mostly in the form of slashing dribble drives by Russell Westbrook (23 points on 10-of-16 shooting) and Dennis Schröder (16 points on 6-of-11 shooting). Those two elite playmakers combined for 17 assists but were joined by a pair of Thunder wings who also dished out a combined 11 helpers. Paul George misfired early but got himself in rhythm by dishing out 4 of his 7 assists before eventually knocking down three-straight three-pointers in a second quarter flurry that helped elevate the Thunder’s lead to 29 points by halftime. PG RW // Thunder sinks 15 threes en route to a fourth straight W.
The other forward who sprayed the ball around was Jerami Grant, who paired four assists – mostly on catches in the lane after screen and rolls – with a pair of three-point makes and some high-flying acrobatics around the rim. The D.C. native scored a career-high 22 points on 9-of-11 shooting, while also making 3 steals and 4 rebounds. The offensive flow was palpable, and it was a sight to behold as joy emanated from the Thunder bench as everybody got into the mix. Donovan’s club finished with a season-high 34 assists for the game, while shooting 57 percent from the field and 15-for-32 from the three-point arc. Despite leading by nearly 30 mid-way through the game, the Thunder still had plenty of work to do. These days, 24 minutes is just such a long time in the NBA. The Wizards gave it a shot to start the third quarter, but after bringing the Thunder’s edge down to 19 points, Schröder and Donovan conversed and found a resolution. 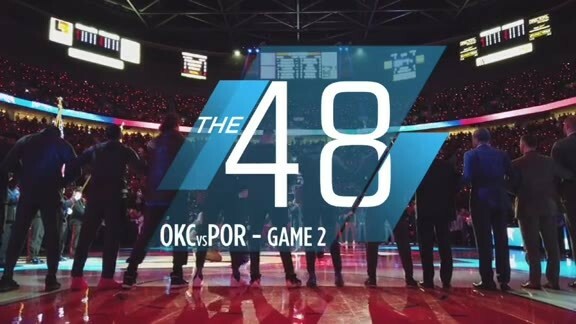 The ensuing 6-0 burst gave the Thunder a 25-point lead heading into the final frame, an advantage that eventually swelled to 33. 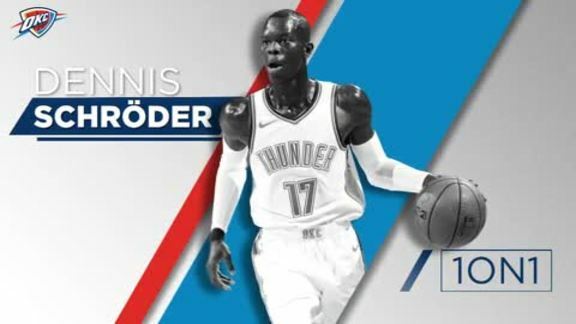 Washington called off the attack, going to their bench, and Donovan had a chance to rest Westbrook, George and Steven Adams for the entirety of the 4th quarter and get extra minutes for youngsters like Hamidou Diallo, Terrance Ferguson, Abdel Nader and Tim Luwawu-Cabbarot.